Put the finishing touches on your country-western look by accessorizing with the perfect western felt cowboy hat. The traditional cowboy hat is still an iconic symbol that represents true western living. 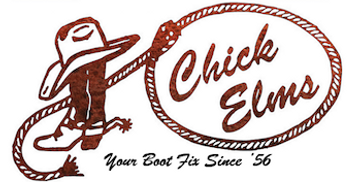 At Chick Elms, we carry the best selection of western felt cowboy hats to complement every cowboy’s unique style. If you’re looking for the perfect unshaped cowboy hat with an open crown, we’ve got you covered. Chick Elms is the best in the business at shaping hats so he’ll crease it perfectly to your liking! We even have protective covers to keep your hat dry in any weather! Browse our full collection of popular creases or unshaped cowboy hats and accessories in a variety of styles below! We hope you find the perfect hat for your needs!